As you have already heard from Owen and Gaylene, Steven and I have taken over the business operations of Papakura Private Hospital starting 1st June. Steven and I have been living in Auckland with our daughter and son for over 20 years. It is our goal to continue the running of this business as a warm, caring and homelike environment. We are delighted that Gaylene will continue to stay onboard as the Clinical Coordinator. I am positive that with her help and support from the team, we will be able to make a smooth transition, with minimal disturbance to your loved one. We are very excited and grateful for this opportunity to be able to continue to offer excellent care to your loved ones. We would like to continue delivering the high level of care that you have already been receiving, to ensure this, we will be making no changes to the current employment of the team. Our short term goals are to familiarise ourselves with all facets of the business. 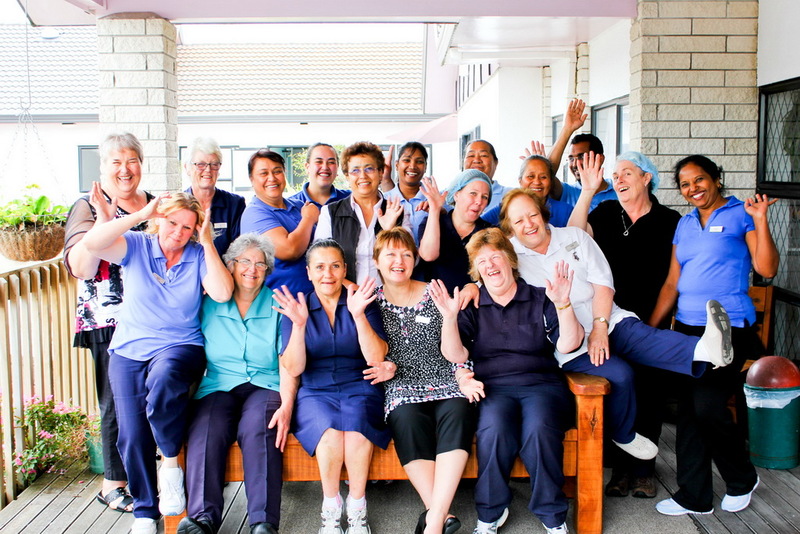 We will do our best to ensure that Papakura Private Hospital remains a positive atmosphere for your loved ones. This is our number one priority. Our long term plans are to gradually refurbish and renovate the existing facilities, to make your loved one stay with us more comfortable and enjoyable. If you have any concerns or anything you would like to discuss with us, we are more than happy to talk to you about these. With your kindly support and understanding, our high standard care service for your loved one will be continued without any interruption during the transition period. I am a Registered Nurse who has a wealth of experience in the Aged Care Sector. I have been a part of the staff since it first opened in late 1989. I took over the Management role of the hospital in 1997 when the then owners & founders of the hospital moved off shore. When I first started in the sector it was about physical requirements & quality of care was incidental rather than the true focus of actions. It was an aspect that never really sat happily with me. Thankfully when I found Papakura Private Hospital it was an environment in which I felt very much at home & it provided the type of care I would be happy to have given to members of my own family should they need it. In fact it is my philosophy on nursing and life in general to treat people as you yourself would like to be treated and to make a positive difference in somebody’s life by giving of yourself. I feel privileged to work with a dedicated band of staff who works hard at providing quality care to the frail elderly and chronically ill. I personally consider it an honour and a privilege to become a part of someone’s life at this stage of their journey and to make a difference for them along the way. Gaylene is taking on another challenge in her career as Clinical Coordinator. Gaylene brings with her a wealth of knowledge in her experience as a Registered Nurse. Gaylene is not new to Papakura Private Hospital, as one of the previous owners Gaylene has an interest in the ongoing care and wellness of our residents. This is an opportunity to have more hands on contact with the residents and relatives – to Gaylene that is what nursing is all about. We are very lucky to have a hard working & dedicated team of staff who are committed to the service they provide. Many have combined their work with both on & off site education to achieve certificates in care giving which greatly benefits the residents for whom they are caring. We are very proud of them all. Our registered nursing team, in tandem with Gaylene, plan and provide personalized care to our clients. The team has many years of collective experience in all aspects of nursing, some having completed in excess of 10 years service. To ensure that we are able to meet the needs of hospital level clients that may have complex needs we encourage our nurses to keep up to date through regular education. All nurses are certified to provide intravenous therapy as well as having extra palliative care experience by completing the Hospice certificate in palliative care nursing. Residents personal needs are met by a team of healthcare assistants who work hard to ensure that clients receive individualized care. Many of the staff have gained certification in care giving either through external education providers or by the onsite Aged Care Education Programme coordinated by Elizabeth Frost, our own Enrolled Nurse who is a registered work place assessor. It is a source of pride to staff that residents are all up & dressed during at least part of their day so as they are able to participate in a varied activities programme and to enjoy the social contacts the facility provides. 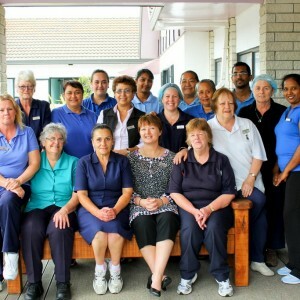 We engage the services of Manurewa Medical Centre to provide medical cover that includes twice weekly on site visits. This twice weekly service in tandem with 24 hour registered nurses on duty on site provides reassurance that you medical needs will be covered at all times. Southern Physiotherapy provides a contracted physiotherapy service on a twice weekly basis. In addition the facility employs its own physiotherapy aide on a four day per week basis who implements the more repetitive aspects of the physiotherapy care plan. 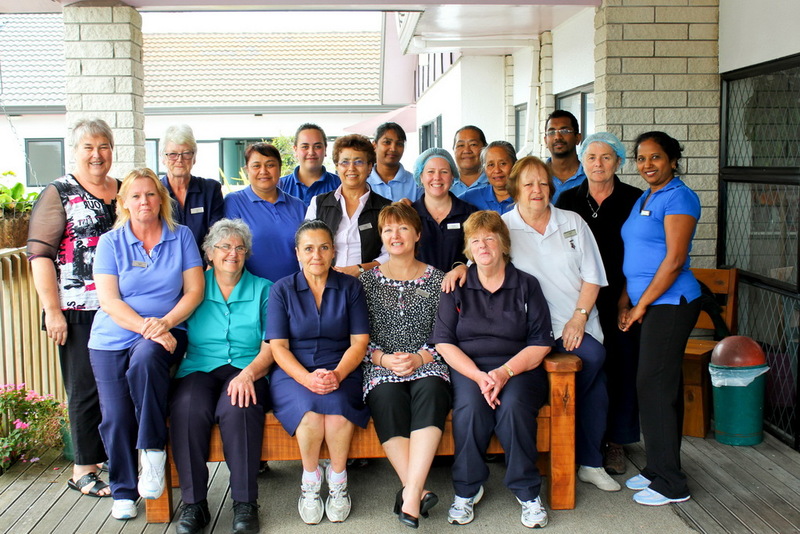 This team has a proven record with successful slow stream rehabilitation of Papakura Private Hospital residents. The facility operates its own full housekeeping service on site – including laundry and food services. 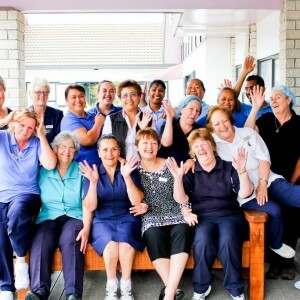 Papakura Private Hospital is renowned for the quality of its home cooked meals lovingly prepared by its staff under the control of Chef Kellie Skidmore. A variety of diets are catered for. Nutritional assessment forms part of the admission process & at risk residents are quickly identified & provided with specially fortified diets to meet their needs.